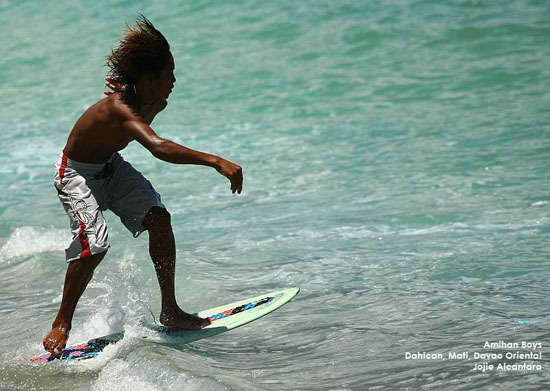 The Amihan boys are a group of young people and children who have been adopted into a family who live in community on Dahican beach. 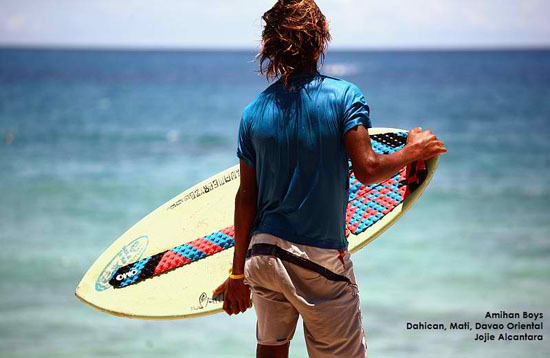 The boys comprise the Amihan team which was founded by Mr. George Plaza popularly called as “botchok “or “Kuya Jun”. 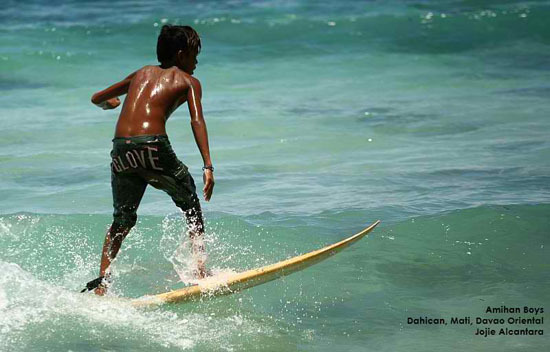 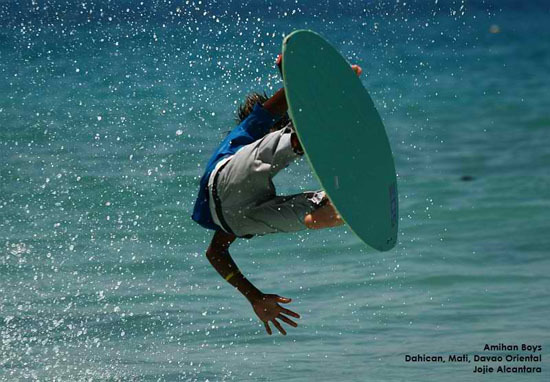 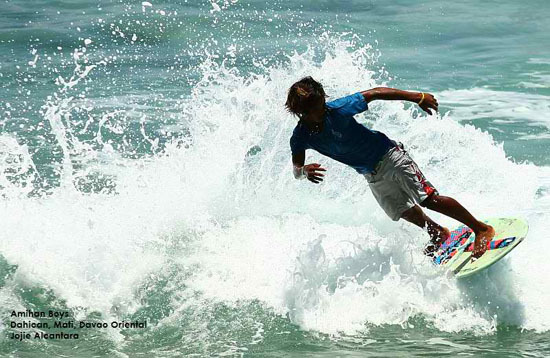 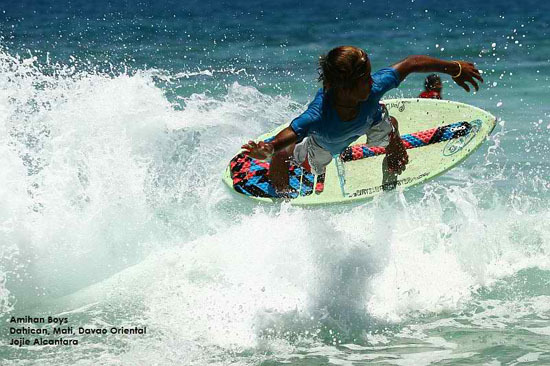 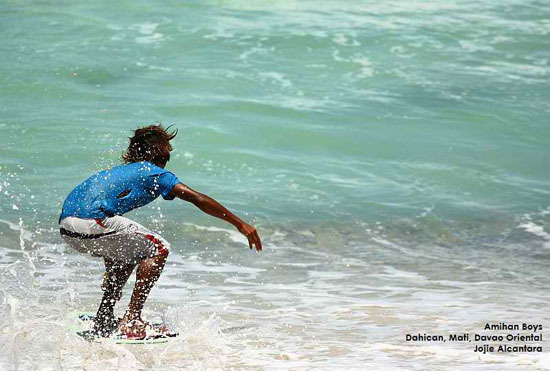 The Amihan boys are known for their skim boarding skills and one of their community members is the current Skim Boarding Champion in Asia with a number of young up and coming new talents being trained for future competition.Visit the Website of the Amihan Boys if you want to learn more about them. 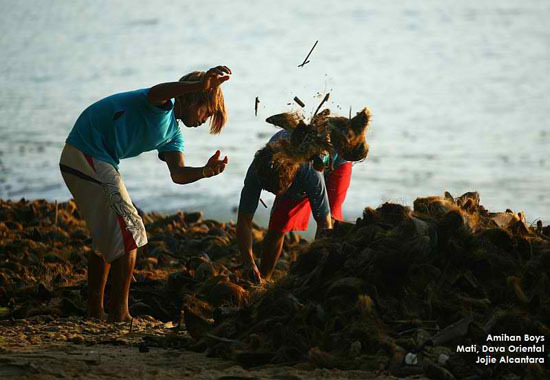 All photos belong to Jojie Alcantara, a Filipina writer, photographer and artist.